United Conservative Party leader Jason Kenney has received a lot of attention for his hardline social conservative views. What’s received less attention is the impact his economic policies will have in terms of hurting workers and helping Alberta’s wealthy elites. For Kenney, what that means is a return to the flat tax Klein introduced in 1999. Last year, the Calgary Herald reported draft policies from the UCP’s convention listed a return to the flat tax as one of its promises and Kenney won’t rule the idea out. While Kenney is cagey about his tax plans with the public, he told a business group last year he fully plans to cut taxes for corporations and restore a lower tax rate for wealthy individuals. That will bring Alberta back to the old days when it paid for low taxes on high income earners off the backs of everybody else. Thanks to recent reforms, Alberta leads the country with a minimum wage that rose to $15 per hour this year. The raise means the 133,000 workers in Alberta can now live on $600 a week, but that’s still barely enough to make ends meet when the average cost of living in the province as a whole is $347.31. Apparently that doesn’t bother Kenney. 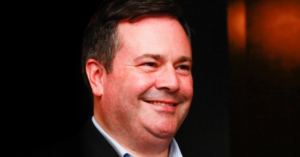 In an October 2018 speech to the Calgary Chamber of Commerce, Kenney announced his plans to freeze the minimum wage, based on the advice of big business lobbyists like Restaurants Canada. Kenney has also lately been singing the praises of Australia’s minimum wage laws. “Under current minimum wage laws Down Under, an adult working casual hours at a fast-food restaurant earns $25.99 per hour (C$24.11). On a statutory holiday, that increases to $51.98 (C$48.21). By comparison, a 15-year-old doing the exact same job makes $10.39 (C$9.64) or $20.78 on a stat (C$19.27). Pay rises by increments each year until the worker is 21. In Australia, for example, in addition to young workers only getting around half of the actual minimum wage, people with disabilities have been reportedly paid as little as $3 per hour and even $1 per hour of work. Not only does Kenney want to give tax giveaways to corporations, he also wants to make it easier for them to stop union drives cold in their tracks. Kenney previously tweeted that, if elected, he will eliminate card-check union certification and replace it with an outdated system that allows employers to intimidate workers to stop them from unionizing. The introduction of card-check certification in 2017, resulted in the highest number of single-year, new union certifications in Alberta in a decade, CBC reported. The Alberta Labour Relations Board (ALRB) found for the fiscal year 2017-2018, the most recent year for which statistics are available, 104 union locals were certified in workplaces previously unorganized. The increases were mainly in construction, food service, retail and healthcare. That was a significant increase over the 40 certifications the year before and there was a noted drop in the number of failed certification drives. 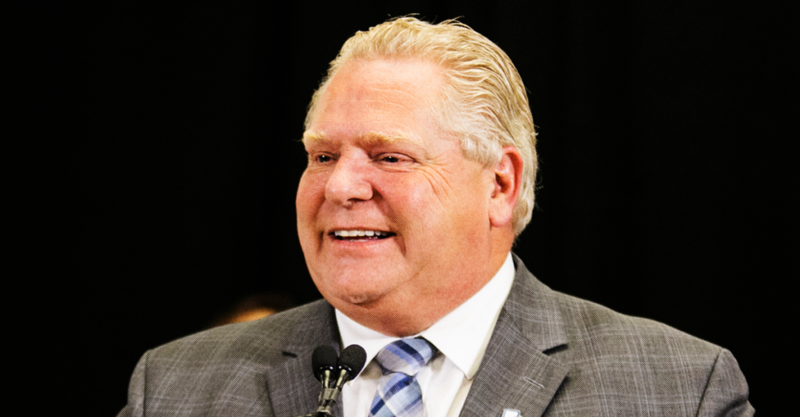 “This draft is a bombshell,” Ontario Health Coalition executive director Natalie Mehra told PressProgress.